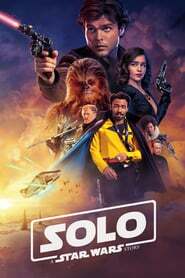 Plot: Through a series of daring escapades deep within a dark and dangerous criminal underworld, Han Solo meets his mighty future copilot Chewbacca and encounters the notorious gambler Lando Calrissian. Plot: Upcoming Star Wars Spin-off directed by Phil Lord and Christopher Miller. How young Han Solo became the smuggler, thief, and scoundrel whom Luke Skywalker and Obi-Wan Kenobi first encountered in the cantina at Mos Eisley. Its early for this thread, but news is starting to happen already. AMOD please change thread name when official movie title is released. This has some potential to be pretty great. or completely disneyfied and turned into hana montana in space. Disney has done well with Marvel, they get the benefit of the doubt until Ep 7 at the earliest. Just cast Chris Pratt and be done with it. Sounds like they want someone quite a bit younger than Pratt. He's 36. Late teens to early 20's sounds terrible. Bleh. Problem with Pratt is he is close to the same age (well looks the same) as Han in a new Hope, so it would be him only slightly before NH. With a young actor they can do it substantially before NH like 10-15 years and it won't seem out of place. Plus it would be stupid for Pratt to play a "slightly" younger Han solo when he is older looking than harrison was when he shot a NH. Do not get hype for this movie. This WILL be an attempt to appeal to the 12-24 market and expand the Star Wars IP. I really doubt we are their intended audience for this movie... They just know we'll pay the ticket price no matter what to see dat Kessel run. I predict something similar in tone to the new Spider-Man films. Han meeting Chewbacca would be fun. They'd have to have part of a movie show how he won the Millennium Falcon off of Lando. I wonder who could pull off playing a good Lando? Miachael B Jordan. Also I could see Nicholas Hoult as a young Han Solo. James Franco's little brother, the guy from 21 Jump Street would work. I'm strongly opposed to this, but I'd be okay with Miles Teller. I would throw myself off a cliff. I hear this fine young actor is available.